Challenge #6 in the Photos - miscelaneous topics series. Hosted by barb_s. You may enter a photo of anything (OTHER THAN PEOPLE) as long as it is in the air. Examples: Toss or drop a ball or toy, find a great looking cloud, a rain drop, an airplane, a flying bird or bug, etc. after entering, on your honor, please go vote on an open challenge. This is the last of the voter series with title rules or vote count qualifiers. Plenty of people have a hard time reading the requirements. English isn't everyone's first language. Not too much; crop, brighten, sharpen, lighten, saturate it if it needs it. Go ahead and improve it if you would like. Rules of common sense and decency apply. Photos must be child safe. Voters: Please follow the dpreview guidelines for the star ratings. Let's all move to the next challenge. It is a fake!! 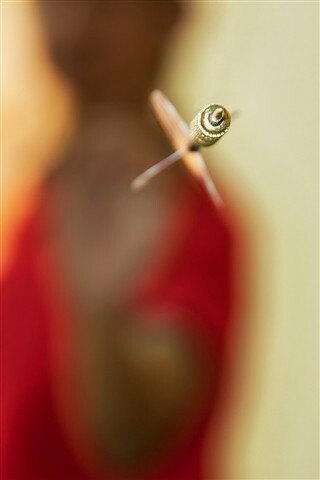 look at the shutter speed!!! No way this is flying. The members who voted low realized that at 1/4s shutter speed this is not possible. Every other pict posted in this challenge is honest, that is, they show something in the air, not an illusion of something in the air. That said, these challenges are mainly for fun - so let's move on. I still don't get how you did it. You said you're the one in the background? and how can the dart stay in the air without flying? I think he stuck it through a thin sheet of plexi and then shot through it. If you look to the right of the tip you can see what looks like a shadow on the plexi. I used a very thin transparent nylon to hang this dart, used a timer, and positioned myself at the background...and that's it! nakakatuwa naman... 4 nang kabayan ang nabilang kong nanalo nitong mga huling araw...congrats! Wow - how was this capture achieved at 1/4 sec? Hopefully the author will share his technique. And how many attempts it took! Yes..1/4 of a sec. the dart was not really flying and I'm the one at the background....perhaps you've guess what I did. more than 20 attempts and got 4 shots. First, congratulations on 1st palce. I probably misunderstood the challenge, I thought it was for objects, animals, clouds, etc. actually in the air. So, what did you do? I think he took a picture that looked like it was in the air, and very well done. Congratulations! 109 What STOPPED you from moving to Fuji? 75 Fuji X - Cameras Ugly On Purpose ? 55 Ergonomics and Menus . . . or Image Quality? 44 I have the Sigma 150-600 Contemporary..is the 1.4x teleconverter worth getting? 34 Should I keep all my lenses? 34 Advice - First MF Camera or Wait? 30 Less common views of "Tourist Sites"
28 ** Weekly X Series Photo Thread 14 APR - 20 APR** Thread 2!!!!! !